IAP brings together a unique collection of advisers whose renowned professional experience spans business, government, and academia, enabling them to provide an unusual level of strategic insight and direction to their clients. They also can draw on an expansive network of partners to put together the most capable and appropriate teams required for any individual project. Dr. Harris is the President and Chief Executive Officer of Science Foundation Arizona. He served as founding Director General of Science Foundation Ireland, where he oversaw a $1 billion budget; designed and led several industry/university R&D collaborative programs for the National Science Foundation; served as National Science Foundation Director of Mathematical and Physical Sciences; served as Assistant Director of the Earth Institute at Columbia University and President of its western campus, Biosphere 2; and Vice President of Research at the University of South Carolina. Dr. Harris is a Fellow of the American Association for the Advancement of Science and an elected member of the Royal Irish Academy. Prof. Hegarty has completed a 10-year term as Provost (President) of Trinity College Dublin, Ireland’s premier university. He has over 30 years experience in both Europe and the United States. He has been involved in high–level research and teaching, and in his capacity as President of Trinity College has engaged with government, city organizations, enterprise and the cultural sector with a view to maximizing the potential of these sectors as economic drivers. Dr Hegarty has published 150 papers in peer-reviewed journals, has five patents and created a photonics company. He is a Fellow of the Institute of Physics and member of the Royal Irish Academy, and has honorary degrees from Queen’s University Belfast and the University of Ulster. He has a PhD in Physics from the National University of Ireland. Dr. Nordlund has a unique background from executive positions in academia and industry in Europe, USA, and Russia. He spent 15 years in industry, first as director of corporate technology strategy and acquisition at Saab AB, a major aerospace company, and later as Director of Research and Development for Emerson Process Management – Level and Marine. In his academic career, Dr. Nordlund recently served three years as Vice President of Research Programs at Skoltech, a new university being established in Moscow in partnership with MIT. In the 1990s, he launched and managed the System Design and Management (SDM) program at MIT. Dr. Nordlund has also served on several national and international (EU) panels in innovation and research. Dr. Glass has a distinguished career in scientific research & development and government service. In his 30-year career with Bell Labs – Lucent Technologies he became internationally known for his accomplishments in photonics and optoelectronics. Dr. Glass served as the first Deputy Minister of Research and Innovation for the Province of Ontario and the first Director of Information and Communication Technologies for Science Foundation Ireland. He is presently chairman of the Tyndall National Institute, Cork, Ireland and president of Transparent Solutions Inc, a scientific consulting firm. Dr. Glass is a member of the U.S. National Academy of Engineering and a recipient of the Sarnoff Award for his pioneering work in electro-optical materials. Enda Connolly has held leadership roles in Economic Development, Science and Innovation in Ireland for over 35 years. As Chief Executive of the Health Research Board, he led a team of seventy skilled professionals implementing a new Business Strategy that repositioned Irish health research by introducing innovative funding initiatives which place the emphasis on patient orientated research and its application into practice. Previously, as a member of the Executive Team of IDA Ireland, he played a lead role in the development and implementation of three successful corporate strategies. Senior Management responsibilities at IDA included: Manager of Research Strategy, devising and implementing IDA’s strategy to attract R&D investment from MNC’s; Director North America, based in the US, delivering 250 new investments valued at over €5bn; Manager, International Services, developing the Services Business Sector as an emerging long-term strategic economic opportunity. Most recently, Enda has worked as a strategic advisor on economic development projects for the governments of Qatar and Saudia Arabia. After engaging in computational research for 18 years, and producing 45 papers, presentations, and invited lectures, Dr. Hirsh joined the National Science Foundation. He oversaw NSF’s supercomputer centers, stimulated the generation of new software, including the first funding of NCSA Mosaic and corodinated NSF activities in computational science. At NSF, he also led other initiatives such as the Science & Technology Centers and the NSF Challenge Application Groups. From 1999 to 2000, he served as the NSF Science representative at the South Pole. In 2003, Dr. Hirsh joined Science Foundation Ireland as a consultant and ICT Research Advisor. At SFI, he was responsible for many areas of Information & Communications Technology such as: software and applications; networking and communications; data technologies; and systems. He was also instrumental in funding two large centers, the Irish Software Engineering Center, and the Irish Center for High End Computing. Mohammad Noori has served as, the Dean of Engineering at Cal Poly, the Reynolds Professor and the Head of Mechanical and Aerospace Engineering at NC State University, and Higgins Professor and Head of Mechanical Enginering at WPI, and has held distinguished visiting professorships in Japan and China. He was a founding member of the National Institute of Aerospace, served as, the Chair of the National Committee of Mechanical Engineering Department Heads, a member of the Executive Board of the Engineering Deans Council, the director of Sensors programs at NSF-CMMI division, and a member of several NSF delegations for US-Japan and US-China Cooperative Research programs. Noori had the honor of being invited by President Clinton’s Special Commission on Critical Infrastructure Protection, as a national expert. 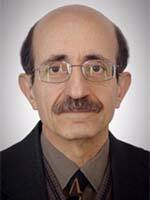 Noori has published over 240 refereed papers, given over 100 keynote and invited lectures, written and edited 12 books, and serves as either the executive editor, or the editorial board member, of several scientific journals. He is an ASME Fellow, and has received the Japan Society for Promotion of Science Fellowship. Across more than 25 years in leadership roles at private and public institutions in the U.S. and Europe, Pete Mackey, Ph.D., has become a specialist in institutional planning, communications strategies, and writing for scientific and educationally oriented institutions. As the top communications executive at two of the most respected colleges in the U.S. (Amherst College and Bucknell University), a national foundation (Jack Kent Cooke Foundation), an international science foundation (Science Foundation Ireland), and a comprehensive research university (the University of South Carolina), Pete built transformative strategic communications operations. Pete has overseen communications for massive fundraising campaigns, written for everyone from Ireland’s Deputy Prime Minister to numerous college presidents, and edited such publications as the European Commission’s specially commissioned report on the future of EU high-end research. His first book, Chaos Theory and James Joyce’s Everyman, now in its second printing, explores the relationship between chaos physics and Joyce’s Ulysses. Dr. Rita R. Colwell is Distinguished University Professor at the University of Maryland, College Park and Johns Hopkins University Bloomberg School of Public Health and Chairman and Chief Science Officer, CosmosID, Inc. Her interests are focused on genomics, biodiversity, and molecular microbial systematics and ecology. Dr. Colwell is an honorary member of the microbiological societies of the UK, Australia, France, Israel, Bangladesh, India and the U.S. Dr. Colwell served as the 11th Director of the National Science Foundation from 1998 to 2004. She has authored/co-authored 19 books and over 800 scientific publications. She is a member of the National Academy of Science and has been awarded the Stockholm Water Prize, Order of the Rising Sun, Japan, and the US National Medal of Science. David Vernon is a Professor at Carnegie Mellon University Africa in Rwanda. In a career spanning more than 35 years, he has worked for Westinghouse Electric in Ireland and the USA, for the European Commission and Science Foundation Ireland, and for leading universities in Europe, Russia, and the Middle East, including ten years in the United Arab Emirates. He is a past Fellow of Trinity College Dublin and presently serves on the Advisory Board of Innopolis University, Russia’s first university dedicated to information technology. He has authored five books and published over 100 articles on robotics and artificial intelligence. As a co-chair of the IEEE Robotics and Automation Technical Committee for Cognitive Robotics and a coordinator of European technical working groups in robotics and artificial intelligence, he brings a strategic vision of research in information technology. Jim is currently the Chief Operating and Financial Officer at Science Foundation Arizona. He is a finance professional with over thirty years of experience in audit, banking, human resources, finance and accounting, with over twenty years of operational management experience in high-tech manufacturing industries. Jim is a transformation specialist and corporate leader with extensive experience in creating executive dashboard management tools used to drive superior financial results. He is a member of the American Institute of Certified Public Accounts and is also a Chartered Global Management Accountant. Jim received his B.B.A. majoring in Accounting and Information Systems Analysis and Design from the University of Wisconsin – Madison. Luther Williams recently completedan seven year termof progressive appointments as Director of the Integrative Biosciences PhD program and Dean of Graduate Studies, Provost and Vice President for Academic Affairs , and Provost and Executive Vice President at Tuskegee University, at which he holds the title of Distinguished Professor of Biology and Provost-Vice President for Academic Affairs Emeritus. Prior to Tuskegee, he served as the William T. Kemper Director of Education and Interpretation, MO Botanical Garden; the National Science Foundation Assistant Director for Education and Human Resources ; the Deputy Director of the National Institute for General medical Sciences of the National Institutes of Health. 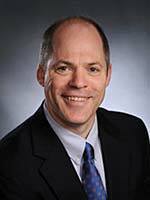 His prior academic appointments include faculty and administrative positions at Purdue University, Massachusetts Institute of Technology, Washington University-St. Louis, University of Colorado, and Atlanta University. He is a fellow of the American Association for the Advancement of Science and the American Society for Microbiology, and the recipient of six honorary doctorate of science degrees. Dr. Walshok is the Associate Vice Chancellor for Extended Studies and Public Programs and Professor of Sociology at the University of California-San Diego. A thought leader on aligning workforce development with regional economic growth, she is the author of Blue Collar Women, Knowledge Without Boundaries, Closing America’s Job Gap and the forthcoming Invention and Reinvention: The Evolution of San Diego’s Entrepreneurial Economy. As an industrial sociologist, she has researched various American regions for the U.S. Department of Labor, NSF, and Lilly Foundation. Walshok is co-founder of CONNECT, one of the most admired innovation cluster development organizations in the world. A recognized leader in science education, Dr. Vasquez is the Past President of the National Science Teachers Association, and the National Science Education Leadership Association, she was a Presidential Appointee to the National Science Board, the governing board of the National Science Foundation, becoming the first and only K-12 educator to ever hold a seat on this prestigious board. Her distinguished service and extraordinary contributions to the advancement of science education at the local, state and national levels has won her numerous awards: the 2014 National Science Education Leadership Award for Outstanding Leadership in Science Education. 2013 National Science Board Public Service Award, and the 2006 “Robert H. Carlton Award” for Leadership in Science Education, NSTA highest award. She has also received, the “Distinguished Service to Science Education Award” the “Search for Excellence in Elementary Science Education and SupervisionAward” the 2007 New York Academy of Science’s “Willard Jacobson Award” for major contribution to the field of science education and was the 2004 NALEO (National Association of Latino Elected and Appointed Officials) honoree for her contributions to improving education. Derek has over 10 years of experience designing, developing, and implementing Web and IT software. Most recently, Derek implemented the online community and collaboration platforms for the Arizona STEM Network and Thunderbird Independent Alumni Association, both associated with creating substantial change through the dissemination of valuable resources through the Internet. Previously, Derek implemented eCommerce stores and shipping management software that increased revenues and employee efficiency, contributed to the design and development of online video portals, designed political campaign websites, and managed email campaigns across several industries. Derek’s online work has been seen and used nationally and internationally. Derek received his BA from the University of Wisconsin – Whitewater, MS from Arizona State University, and MBA from the University of South Dakota. Prof. Claude Weisbuch is currently a distinguished professor in the materials department of the University of California at Santa Barbara. Previously, he was Assistant Professor at the University of Paris, Associate Professor of Physics and a Director of Research at the Centre National de la Recherche Scientifique (CNRS) at Ecole Polytechnique. A founder and chief scientist of Genewave, a Paris-based high-tech company focused on molecular diagnostics systems, Weisbuch also was a member of the technical staff of Bell Laboratories and chief scientist and scientific advisor to the Chief of Procurement in the French Ministry of Defense. In addition, Weisbuch is a founding member of the Académie des Technologies, a Fellow of the American Physical Society, and recipient of the Welker prize in 1999, the France Telecom prize in 2001 and the Grand Prix Leon Brillouin of the French Optical society in 2011. Dr. Crawley is the President of Marcus Enterprises LLC based in South Carolina. He previously served as the Director of the Frontiers Engineering and Science Directorate of Science Foundation Ireland from 2004-2007. Dr. Crawley also served two terms at the US National Science Foundation, one as the Director of the Physics Division, and earlier as a Program Officer in the Nuclear Physics Program. In 1991, he Chaired the Nuclear Physics Division of the American Physical Society. He has authored over 150 articles and, in 1975, published the textbook, “Energy”. Most recently, he served as the editor of the World Scientific Handbook of Energy, published in January 2013. He has consulted for the National Research Foundation of the United Arab Emirates and the National Center for Science and Technical Evaluation, Republic of Kazakhstan. Dr. Niamh Connolly brings more than 25 years of professional experience in research and education, with extensive background in developing pan-European interagency policies, strategies and funding programs in the marine and maritime domain. While based with the European Science Foundation in France and Belgium, she led several interagency initiatives, and has been a member of several advisory committees. More recently, she was responsible for various senior management and strategy activities within the President’s Office of Nanyang Technological University, Singapore. She has worked in association with theEuropean Commission for more than 15 years, including as an expert evaluator of the EU’s research funding programs and national infrastructure facilities, and as an advisor on the development of EU marine and maritime research and funding strategies.